What's time but a series of building blocks of infinitesimally small moments? You change one block and the whole structure could be modified, you add and add and add more blocks, hoping the final result is beautiful and meaningful, and you look around at others' structures learning from them and sometimes envying or criticizing them. 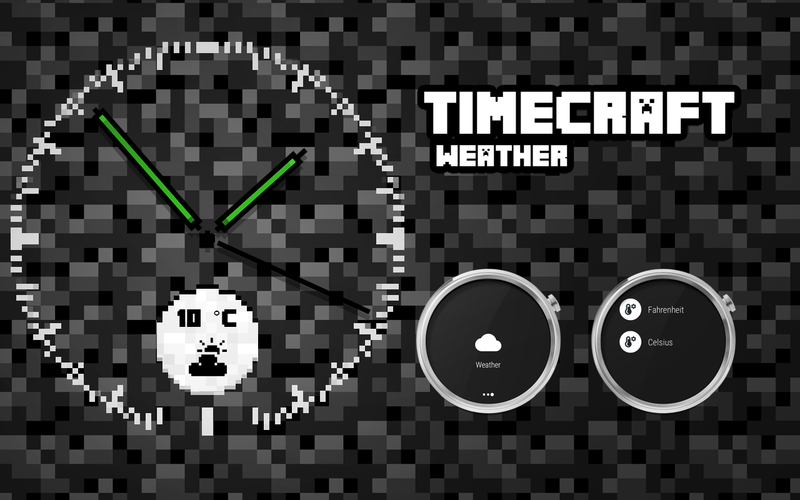 That's one philosophical way of introducing this new watch face by Tha PHLASH, Timecraft. 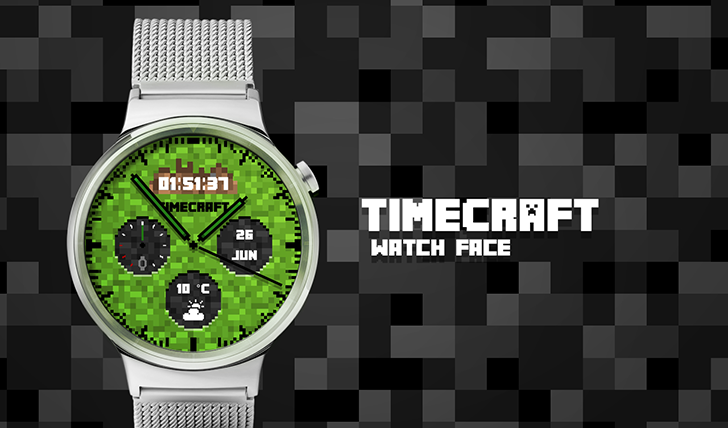 Like its name and all of the screenshots here suggest, Timecraft is inspired by Minecraft. The signature blocky design is there, the green and grey/brown colors are present as well, and although I've never actively played the game or got lost in its world, I can easily spot the similarities based on what little I've seen from it. 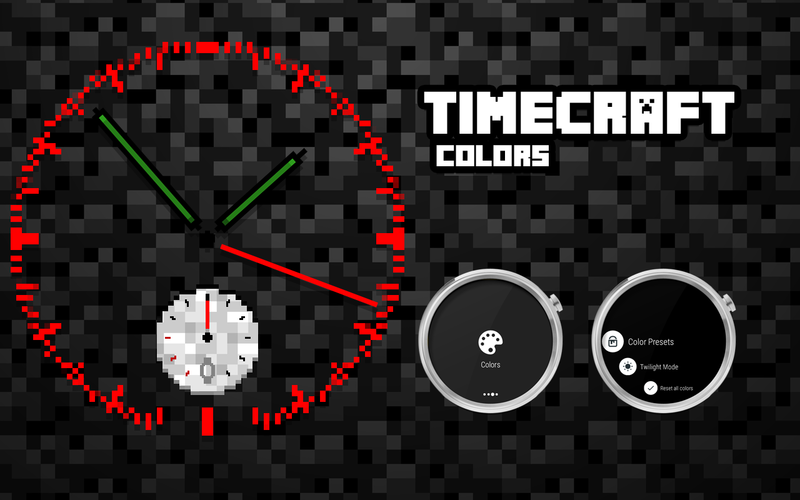 As a watch face, Timecraft works on round and square watches of all screen resolutions. It requires Android Wear 2.0 and installs directly on the watch - there's no phone app. 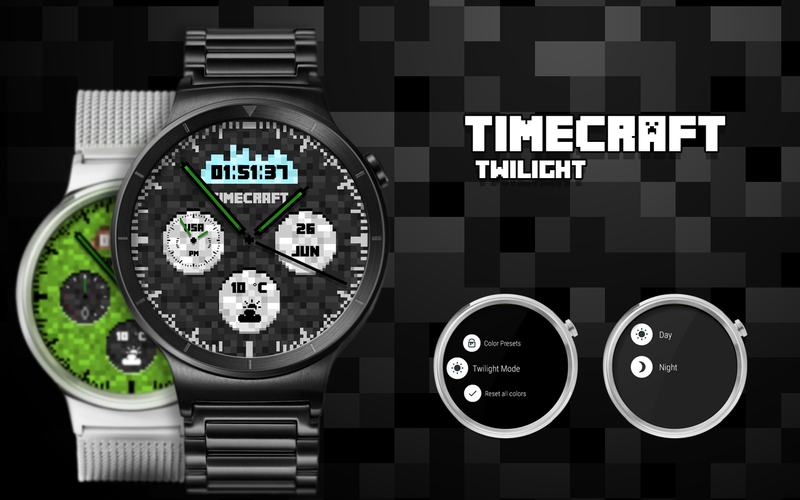 The settings can be changed from your wrist and you get to choose colors, enable a Twilight mode to avoid searing your eyes at night, show or hide a digital clock, and add up to 3 complications like the date, weather, a different timezone, and more. 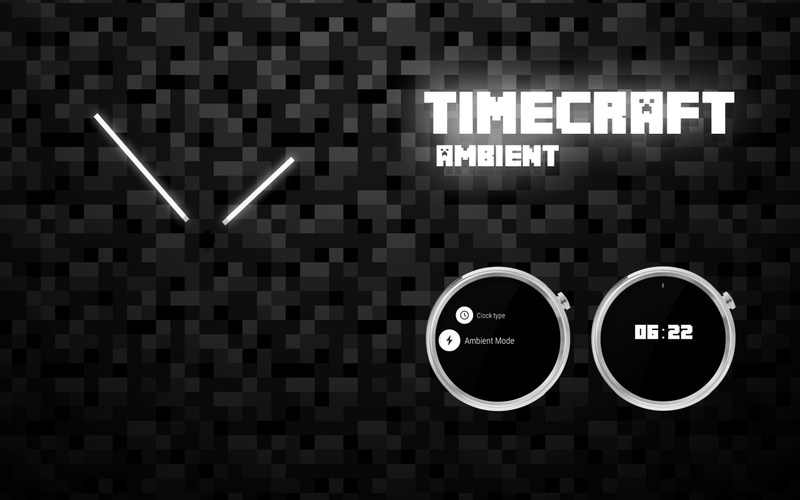 There's also a battery-friendly Ambient mode. 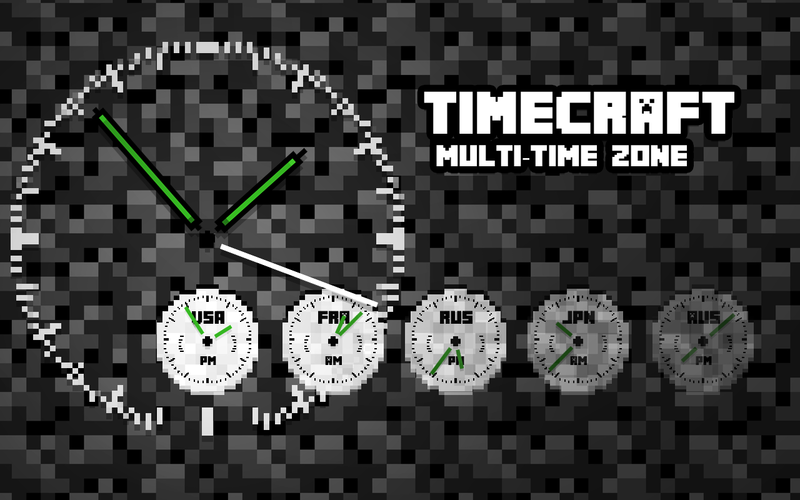 As always with Tha PHLASH, this kind of attention to detail and quality doesn't come free, so you'll have to pay $1.99 for Timecraft. You can grab the next block for your watch from the link below.